As Mubarak was going back home, the world is watching for an intervention in Syria and Libya is living a chaos.One cannot stop asking himself “was (what we call) Arab Spring worth all human lives that we’ve lost? Was it worth this violence? Was it worth this division among nations?” the answer is no. For the first time in history, journalists, observers and above all, young Arabs are asking this question “would it have been better if “nothing” happened?” the answer is again negative. However between, the status quo in which were living some Arab societies and the huge violence that we are living now, there is an alternative route. This is the one that I want to talk to you about today. My journey with politics started in the beginning of this century, in the early of my twenties, as my interest started to become broader than my microenvironment. That was when I started to realize that the situation of the world, of my continent, of my region and country are linked to my own situation. This is the moment when a man realizes that he has the ability to influence through his own actions, engagement or words. That’s the moment when we ask ourselves basic questions: what is freedom? What common values do we share as human beings? What is democracy? Is there one and only one model of democracy, which suits for every country, no matter its history and culture? For the last thirteen years, I have been engaged in community projects, NGOs, bloggers initiatives and conferences, I still didn’t find a final answer for these questions but there is certainly progress that I want to share with you. First, a good balance between freedom and respect for differences is, in my opinion, the key to a healthy society. Second, what is not acceptable is a society that does not do anything for the poor and most vulnerable ones. Third, the terms “democracy”, “human rights” and “religion” are not always used in the mouth of the good ones. The most dangerous minds, the worst dictators had used them before showing their real objectives. However, with all these positive aspects we are living in Morocco, one cannot feel any satisfaction. 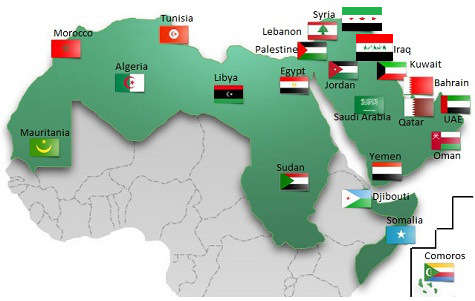 Since violence in Tunisia, Syria, Egypt or any other Arab country cannot be ignored by any citizen of the world. That’s why, I want to draw attention of the world about the situation in the MENA region and call leaders of the region about the necessity of forgetting about religious and political differences. What we need is no more people who underline the differences between Shiites and Sunnites or Muslims and coopts or religious and seculars, what we need are leaders who can talk for everyone as human beings deserving the same rights for a common project that serves the interests of the community. As Martin Luther King Jr said, 50 years earlier, in his legendary speech “Now is the time to make real the promises of democracy.” Before adding “Nineteen sixty-three is not an end, but a beginning”. I also hope that two thousand thirteen is not the end of a dream of Arabs living peacefully with dignity, but the end of violence and extremism. Our time needs great, inspiring and especially unifying leaders!